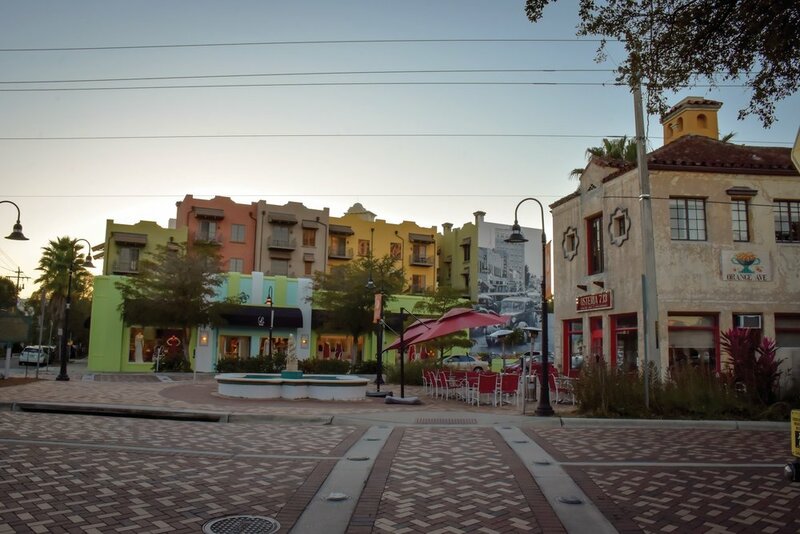 There never is a shortage of things to do in Sarasota, Florida. From water sports to nature trails, you'll find adventure during your stay at our resort. Siesta Key Beach: Make your way towards the sugary white sands and brilliant blue waters of the Gulf of Mexico. Whether looking to make a splash, ride some waves or simply sunbathe while enjoying tropical tranquility, you’ll find the perfect place to do it all at Siesta Key Beach. Sarasota Classic Car Museum: Auto enthusiasts are guaranteed to get revved up at the Sarasota Classic Car Museum. Get up close to beautiful vintage classics including John Lennon’s 1965 Mercedes Benz and Paul McCartney’s beloved Mini Cooper. Ed Smith Stadium: As the spring training base for the Baltimore Orioles, Ed Smith Stadium invites baseball fans to watch their favorite players practice and compete against teams from around the nation, including the Boston Red Sox, New York Yankees, Washington Nationals, St. Louis Cardinals and more. Marie Selby Botanical Gardens: Experience unique year-round horticulture in a breathtaking bay-front setting at Marie Selby Botanical Gardens. Tour the grounds, take a class, or check out the Children’s Rainforest Garden. Sarasota Jungle Gardens: Spend a day exploring a different side of Sarasota. Filled with beautiful tropical vegetation, birds, reptiles and mammals, Sarasota Jungle Gardens is an experience the whole family will enjoy. The Ringling: Find a little bit of everything at The Ringling. 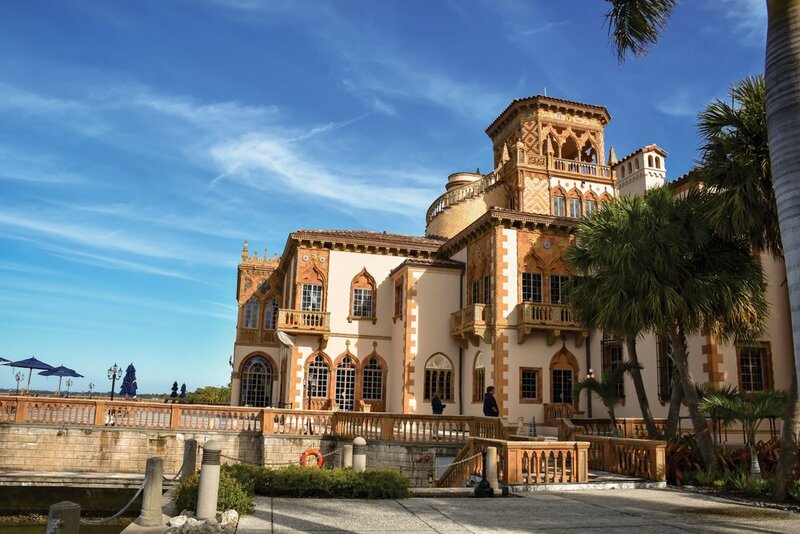 Home to a variety of popular attractions including the Museum of Art, Ca' d'Zan, Circus Museum, Historic Asolo Theater and the Bayfront Gardens, The Ringling is fit for every travelers of every interest. Save Our Seabird: Housing over 150 birds in a three-acre outdoor museum with live displays and educational learnings, Save our Seabirds focuses on rescuing and rehabilitating wild birds. Mote Marine Laboratory & Aquarium: Take adventures underwater at the Mote Marine Aquarium. Immerse yourself in discovery as you get a close-up view of marine animals and fish. The aquarium also boasts two touch tanks and a 135,000-gallon shark habitat. Sarasota Ballet: Celebrating 25 years in the arts, the Sarasota Ballet has gained national and international recognition for its brilliant repertoire. See originals and classics brought to life in this inspiring theater. McCurdy’s Comedy Theatre and Humor Institute: Grab a drink accompanied by plenty of laughs at McCurdy’s Comedy Theatre. Attracting a variety of stand-up talents from all over the nation, this vibrant venue is an exciting excuse for an adult night out. Sarasota Opera: Looking for a cultural outing? Check out the Sarasota Opera’s performance schedule and reserve your seat for a show that will leave you absolutely astonished. Myakka River State Park: Explore some of the state’s most lush natural areas from one of the oldest and largest state parks. Featuring a river and two lakes, Myakka River State Park boasts endless opportunities for boating, freshwater fishing, canoeing and kayaking.